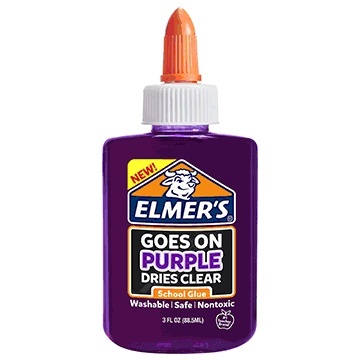 Disappearing purple formula helps kids see exactly where the glue is. Dries clear and applies smoothly for a mess-free appearance. The #1 teacher brand, it’s ideal for younger learners, making poster presentations, crafting and more. Safe and non-toxic formula is perfect for classrooms and homes.